Looks like a must have for my bookshelf, so I've just ordered mine and can't wait for it to arrive. Mine due to arrive tomorrow. The info you mention on cameras used is useful. Congratulations on the publication. I look forward to seeing it. Good luck with sales. Splendid. I'll add it to my wish list! Nice one, Chris. I love this series of books. Pride of place on my book shelf. This will be another. Looks fantastic, will have it on my bookshelf soon. 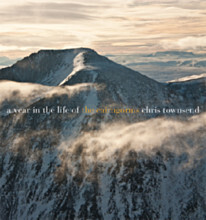 Chris, can't wait to get my hands on a copy! Thanks everyone. I hope you all enjoy the book. Walter, I am wondering what this means for the RAF mountain rescue service. The access legislation should prevent any areas being requisitioned for army manoeuvres but we might well see more squaddies on the hills. Fair point about Mountain Rescue. They'll surely keep the Sea Kings at Lossiemouth, won't they, but as far as I can tell the runway at Leuchars will also be kept just to flit troops around so they may well keep some helicopters there too. They'd resurfaced it and upgraded the base for the Typhoons not that long ago, after all. Don't mention it Chris. It is a lovely and natural book! It seems to be selling well.